It is more difficult to ruin your smile if you have regular check-ups with your favorite Plano dentist. Best to avoid them altogether if your goal is pure chaos and painful destruction. 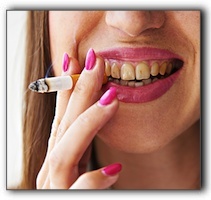 I know many people throughout Allen and Plano have difficult struggles with oral health and lack smile satisfaction. That’s why I’m here. I am The Plano Dentist. If you are experiencing dental problems, schedule a consultation today. I look forward to creating a plan to restore your oral health and the beauty of your smile.